Established in 1798, Johnnie Fox’s is one of Ireland’s oldest and most famous traditional Irish pubs in Ireland. It’s renowned for being the ‘highest’ pub in the country. The setting of Johnnie Fox’s is just like you have been invited to a 19th century rural Irish home, with food and service to 21st century standards. 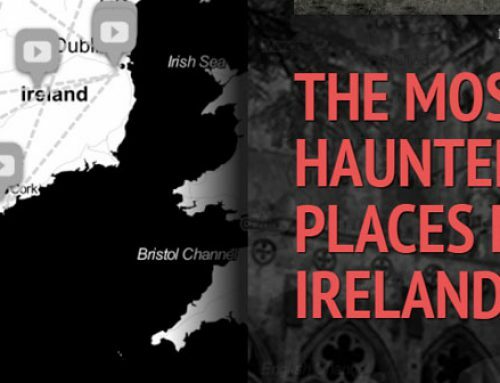 Whether you are looking to enjoy a wholesome pint of the ‘black stuff’, to get a glimpse of ‘old Ireland’, to enjoy a tasty meal, to enjoy the Irish atmosphere, or to witness a spectacular cultural show, listen to some traditional Irish music, Johnnie Fox’s most definitely has something for you. Upon entering Johnnie Fox’s, you will be greeted by a sense of stepping back in time. Everywhere you look, there is something interesting to see. Whether it’s old photos on the wall, antiques, farming tools, or clothing, there’s so much to look at! The Pub has retained the character similar to when it was established over 200 years ago. The unique atmosphere will arouse your emotions and allow you to have an experience that you’ll never forget. The Pub is likened to a ‘living museum’. Johnnie Fox’s Pub was originally a small holding farm, the pub of today holds many aspects of the farm with dining areas named as “The Pig House” for example, and also one can still see where the animals were housed in “The Haggart” area with its small private rooms set off to the sides surrounding the courtyard area. The majority of ingredients for the restaurant are sourced locally, from high-quality “farm to fork suppliers”. Great food comes from great ingredients, and it is for this reason that customers are drawn to Johnnie Fox’s year after year. The menu boasts classic Irish dishes along with impressive seafood options and a few modern favourites for balance. Johnnie Fox’s also has its own bakery with all loaves of bread and desserts baked daily. Guests can enjoy either lunch or dinner from the Á La Carte Menu, served daily from 12:30pm until 21:30pm, then sit back and enjoy the live music to finish off the evening. The “Johnnie Fox’s Hooley Show” is famous throughout Ireland and abroad for its originality and unique atmosphere that cannot be found anywhere else. Guests are treated to a four-course meal where they can savour various dishes. The meal is followed by a live music session where acts play lively Irish music, ranging from traditional and folk, to ballads and sing along pieces. The music session is followed by Johnnie Fox’s famous Irish dancers, who provide a spectacular performance. Their show has been choreographed by Joey Comerford and has been described as one of the best ‘Cultural Shows’ in the country. The entire evening comes to an end with another live music session performed by a selection of the in-house musicians. 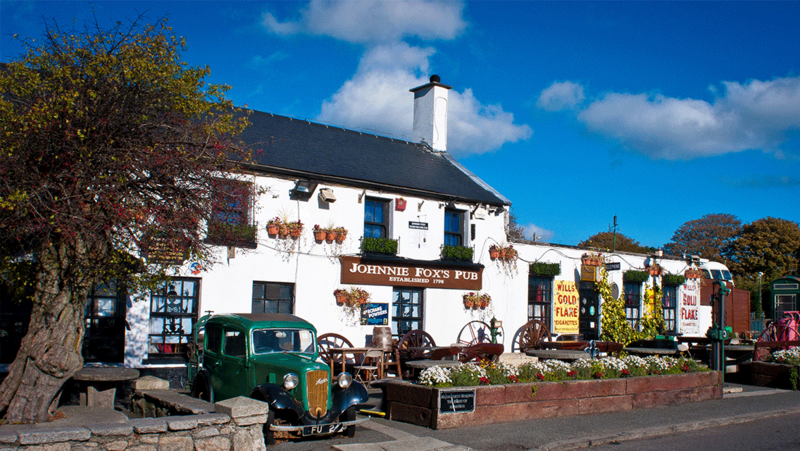 Johnnie Fox’s is nestled into the quaint and picturesque town of Glencullen, in the Dublin Mountains. The area itself is steeped in history, the great Irish Liberator Daniel O’Connell lived in locally and was a regular patron of Johnnie Fox’s. In 1823 Daniel O’Connell gave his blessing to one Christy Fitzsimons to marry his daughter, and the family has lived through generations in Glencullen to this day.